We have 13 fun I Love Yarn Day (ILYD) Facebook and Instgram giveaways from September 3rd to October 13th, 2018! Keep an eye out for two giveaway posts a week, starting September 3rd and ending October 13th. Follow the directions in the giveaway post to enter. Winners will be selected in a random drawing. 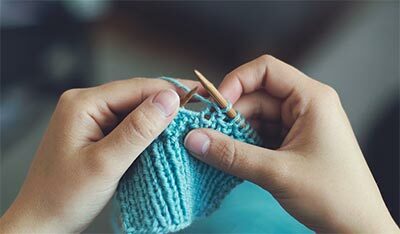 Craft Yarn Council is making it easier than ever to win one of 15 prizes worth more than $1,200 especially designed for yarn lovers. Follow our Facebook and Instagram pages to see how you could win one of the following prizes. • Boye Needle’s basket of goodies which includes a Crochet Planner, gift tags and a 12-piece Ergonomic Crochet Hook set, plus a set of L P Q-size hooks and the latest “T” hook. • One of three gift sets from Clover Needlecraft: Amour Crochet Hook Set, Interchangeable Tunisian Crochet Hook set or Clover’s Interchangeable Circular Knitting Needle Combo Set. • Year-long membership to Creativebug, the premier destination for online arts and crafts video classes and community. • A Leisure Arts prize package of 9 of their latest project books. • From Lion Brand Yarn one of two boxes of Wool-Ease Thick & Quick yarn—8 colors in each box. • LoveCrafts has a goodie basket featuring samplings of Debbie Bliss yarns and pattern books. 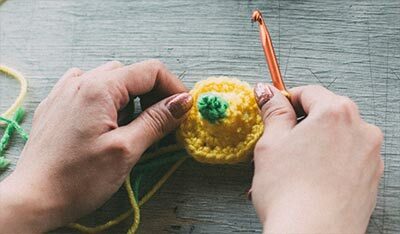 • Prime Publishing has a two-year subscription to either I Like Knitting or I Like Crochet magazine. • Red Heart has a prize pack of their newest fashion yarns. • Win one of four gift baskets containing 8 balls of Bernat’s cozy Blanket Stripe, chenille-style yarn. Remember, drawings will be random so anyone can win! Giveaways run 9/3/18 - 10/13/18. For complete giveaway rules, click here. Don’t forget to follow ILYD and Craft Yarn Council on Facebook, Instagram and Pinterest to get up to date info on all ILYD happenings.